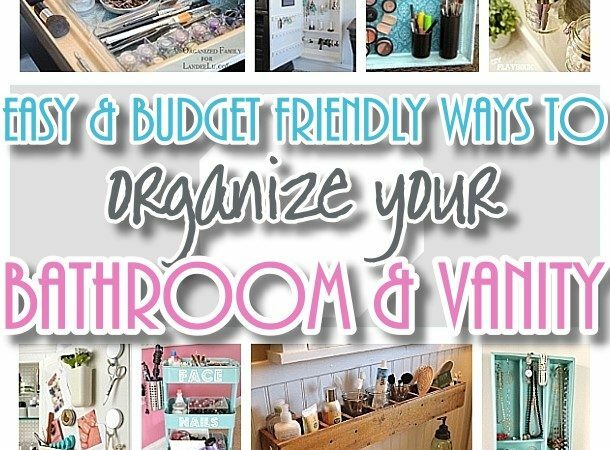 We’ve found the BEST, Easy, Inexpensive Do it Yourself ways to finally organize the bathroom and vanity…. and keep it that way! 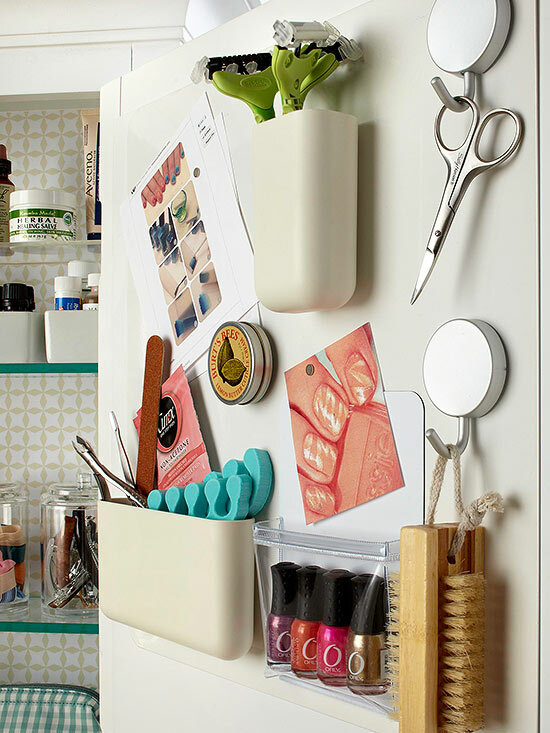 From space saving, budget friendly DIY organizers to clever hacks to keep your beauty supplies organized and looking pretty! 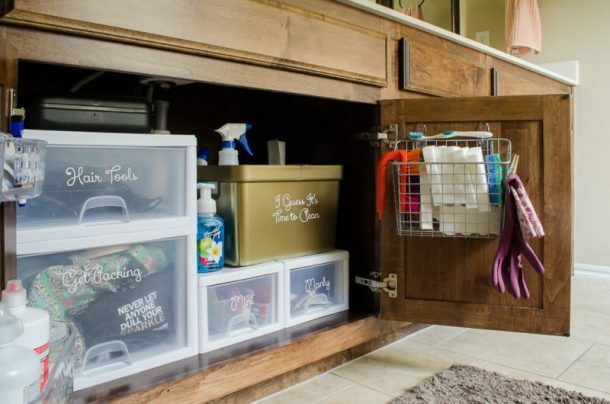 Lots of brilliant ideas for decluttering and organizing the space under the sink and creating the prettiest most functional vanity around. 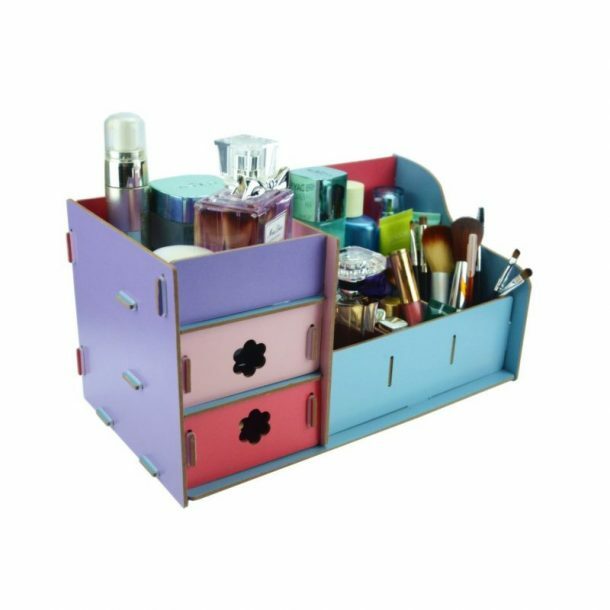 Come see all of the AWESOME ideas we found to keep your toiletries, hair tools, jewelry and beauty products all where you can find them. 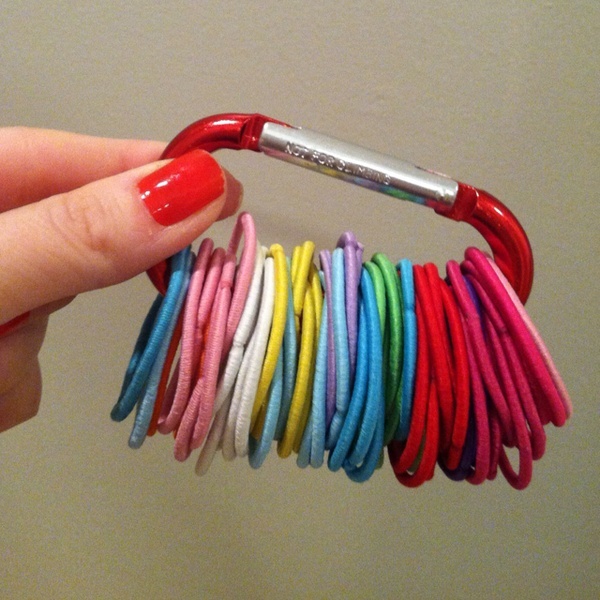 Completely organized, untangled and lookin’ SO PRETTY! 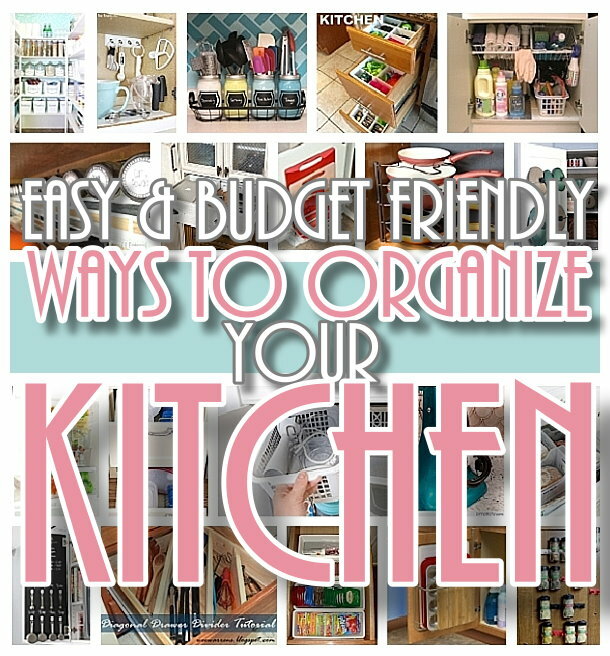 If you are anything like me, I can clean out a drawer, closet or room no prob. 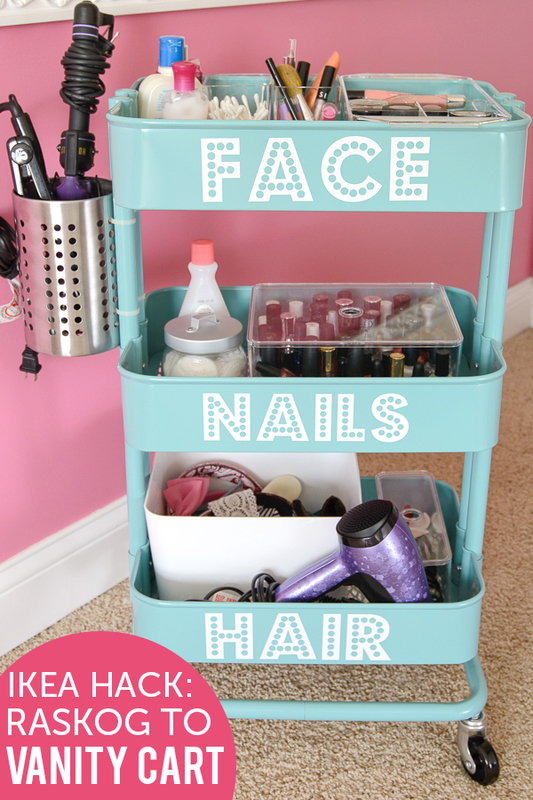 But – the key to KEEPING any room or area organized for me is to make it look pretty. If I like the way my new “system” looks – I’m ten gabillion times more likely to keep it that way. You too? 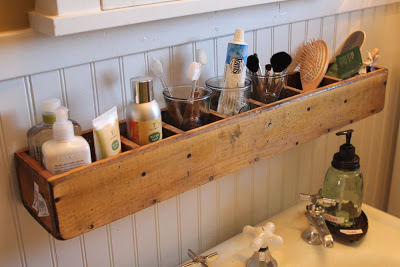 I’m loving all of these quick, easy, inexpensive do it yourself systems and ideas we found to organize everything in the bathroom and vanity. All while making it look fantastically PRETTY. 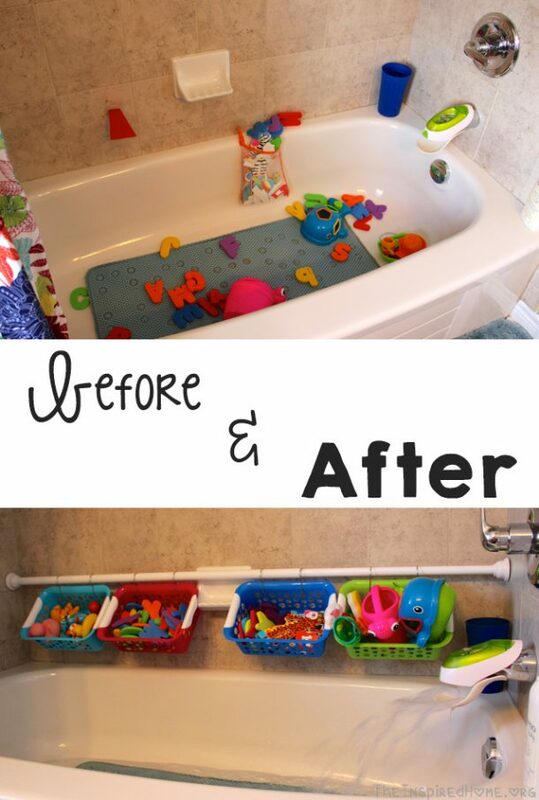 Before you get lost – Make sure to PIN THE IMAGE BELOW to easily find your way back for MORE awesome ideas to have the most ORGANIZED and PRETTY BATHROOM this year! 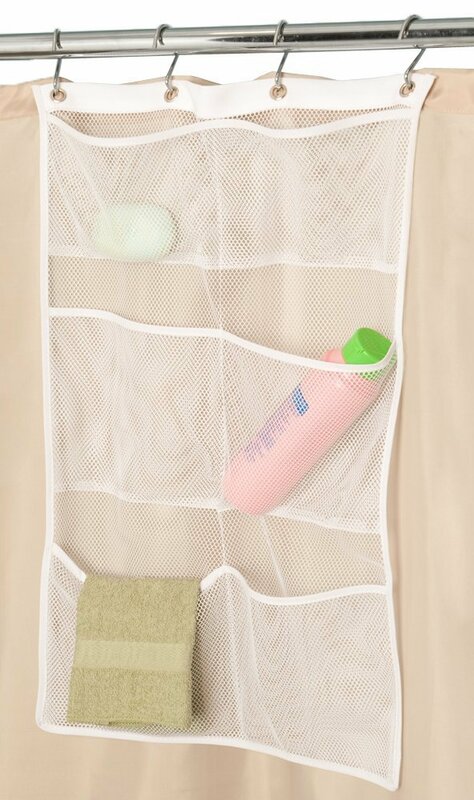 Grab one of these super cheap Mesh Bath and Shower Organizers HERE! 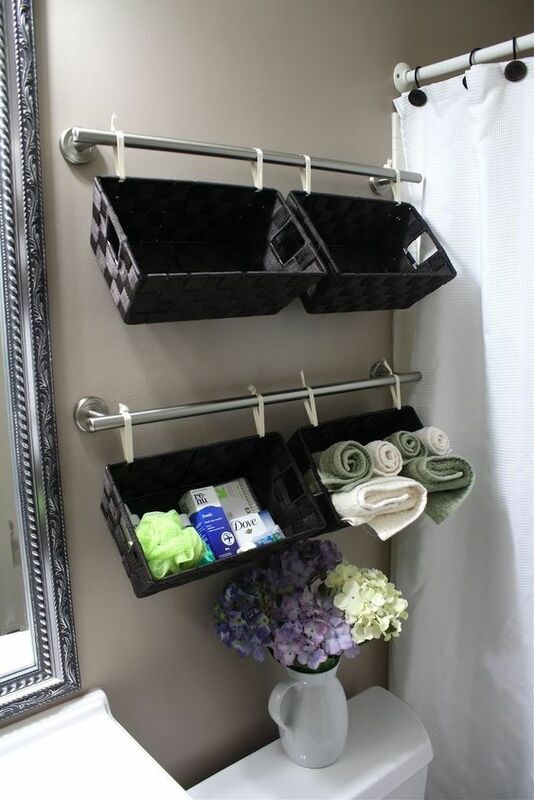 It just hangs right from the existing shower curtain rings – the water runs right through the mesh and no more bending over for your shampoos and body washes! 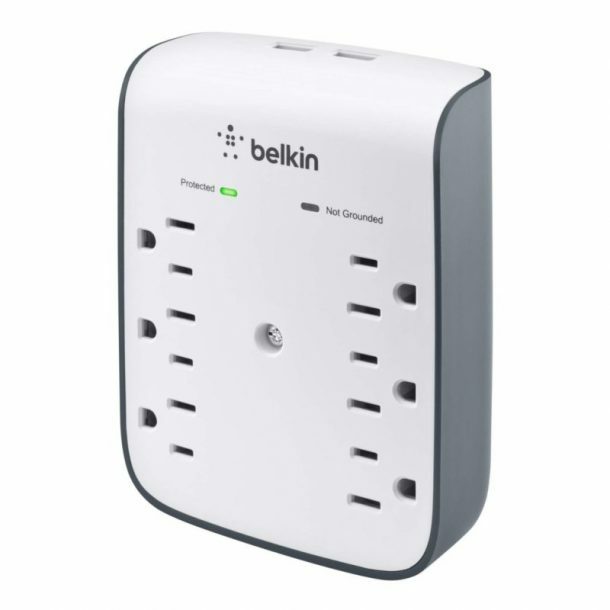 Add a flush mounted wall surge protector with USB charging ports to your electrical outlet in your bathroom! 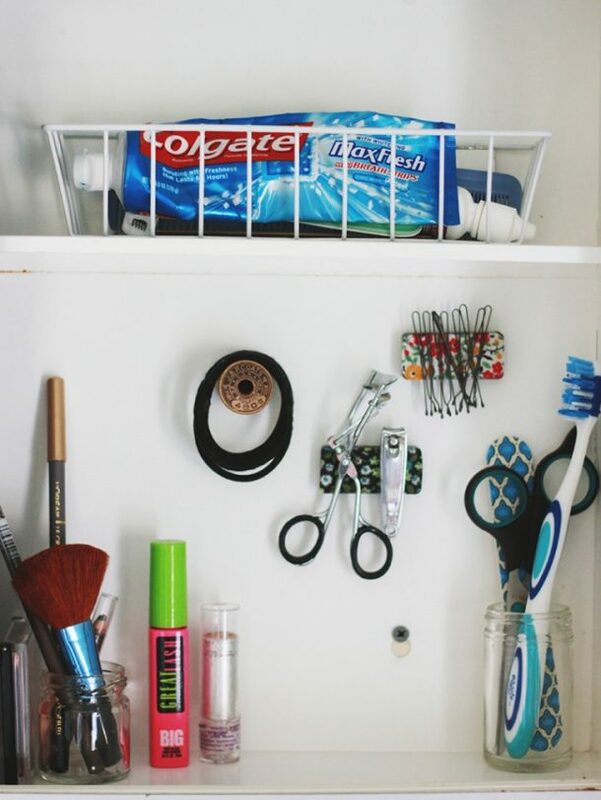 Great idea to add more plug ins for your beauty tools and have the added bonus of USB charging ports so you can charge your cell phone and other devices in your bathroom while you get ready. You can get this one HERE! 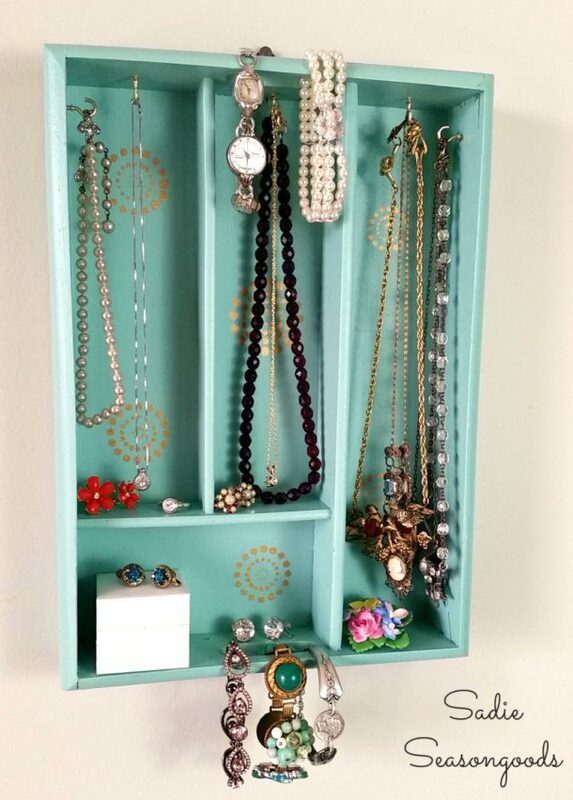 Grab some Mason Jars, a piece of wood and some metal hose clamps! The possibilities are endless with this one! 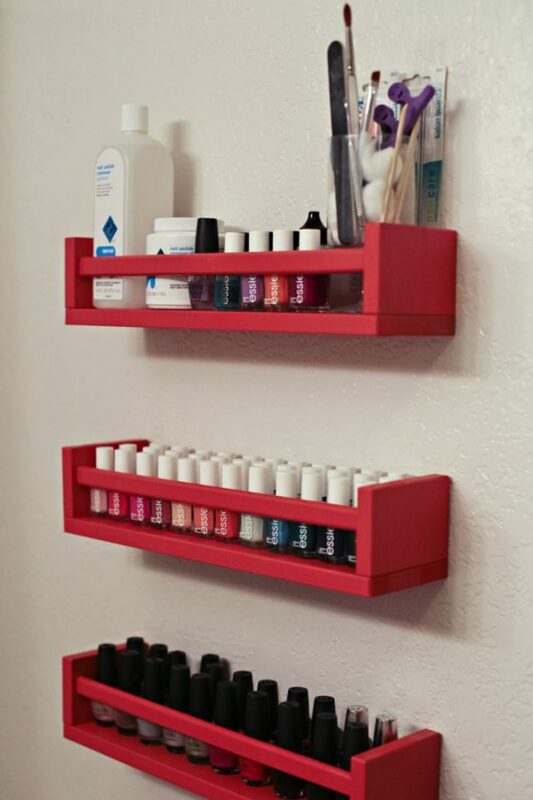 It would be so pretty in ANY room to organize your whatevers and stuffs. 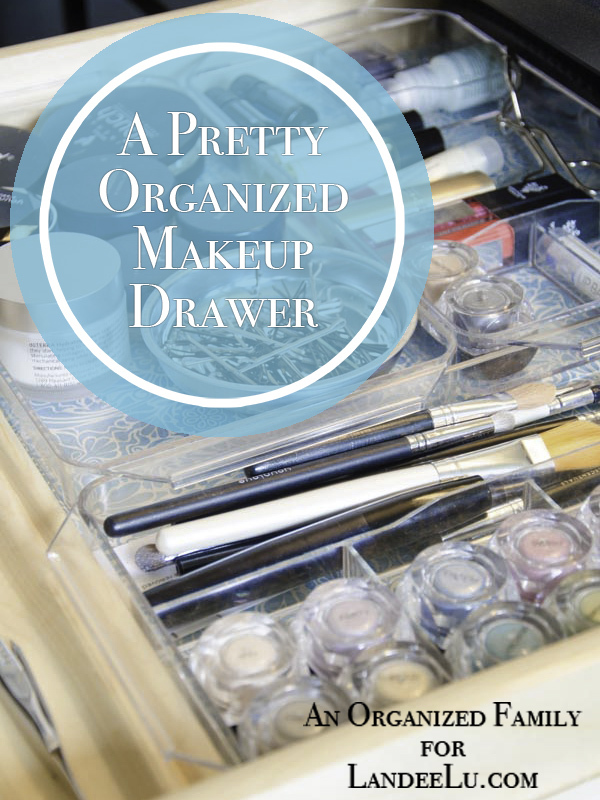 Awesome to organize your makeup brushes and small bathroom items! 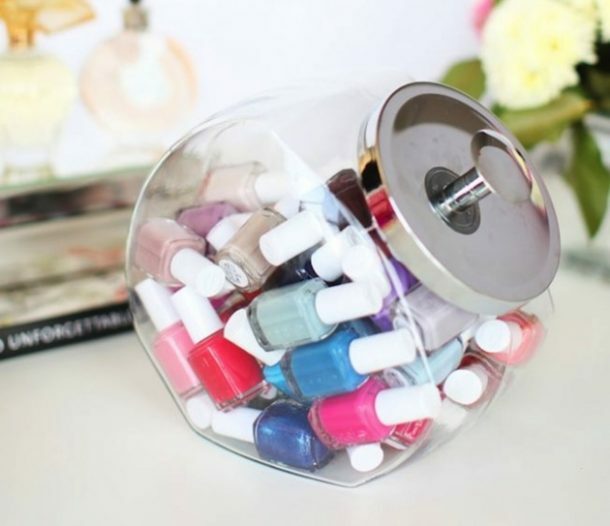 Make sure to check out the full tutorial from The DIY Playbook to make your own Mason Jar Organizer! Pick up some of these awesome Command Cord Bundlers – No more wrapping the cord around your mixer or other small kitchen appliances, thanks to this simple command hook hack – see the full instructions and tutorial by clicking HERE! Great question, Shirley! I actually ordered these http://amzn.to/2jOF5lh (affiliate) racks for my garage fridge to hold sodas, and they didn’t roll down the racks as smoothly as I’d like. I moved them to my pantry to hold my cans of soup, chili and veggies and they work AWESOME for that! Just the little difference in the shape of the cans must be the deal. 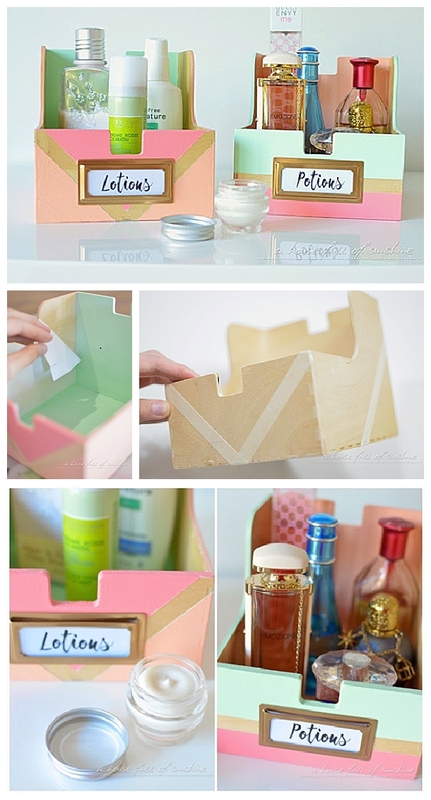 I will give this a try for sure. Thanks for sharing your idea.